Warm, crusty bread free from grains and yeast. Paleo and Keto friendly. This staple is a hit in our house! For many people, the hardest part of following a paleo lifestyle is giving up bread. In fact, it is for this reason that many individuals don't even attempt to give up grains. Majority of times I tell someone I don't eat grains I will get a "but how do you survive without bread?" Well, thanks to my mum I don't have to. As much as I would love to take credit for this recipe as it’s beyond delicious, it was my mum who introduced this staple into our lives. 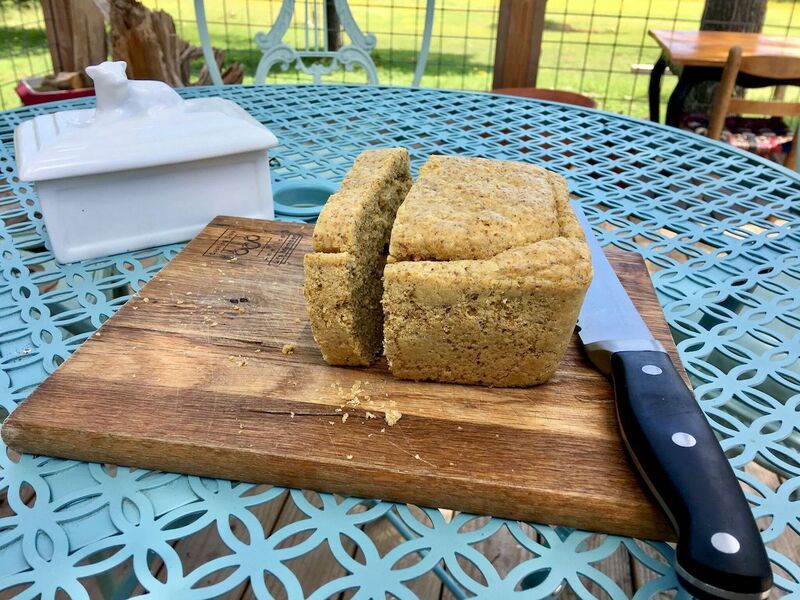 Just over a year ago she first attempted to make bread free from grains, gluten and dairy and after weeks of trial and error, she managed to perfect her recipe. Now my entire family is hooked on this stuff. We eat this bread with everything; soups, sandwiches, as toast and even for dessert with almond butter and dark chocolate chips. Add-ins: sunflower seeds, pecan pieces, cinnamon & raisins, the options are endless! 1) Mix all of your key ingredients in a food processor until well combined. 2) Add in your nuts/seeds/ whatever your heart desires. 4) Bake for 20 minutes on 350. It’s SO easy, right? Enjoy your bread as breakfast toast with homemade jam and almond butter, as part of a sandwich or even as croutons!